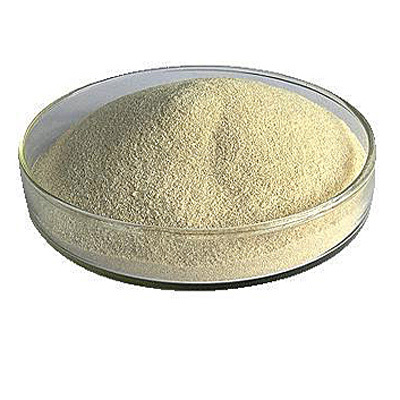 Sodium Alginate - for molecular gastronomy kit supplies. As a molecular gastronomy ingredient, sodium alginate is almost always found used with its best friend Calcium Lactate. It does however have uses on its own. 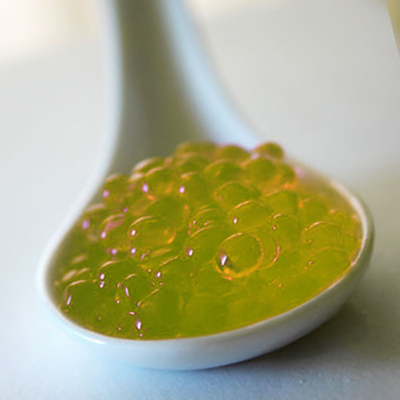 An overview of its use in spherification and reverse sphirification can be found here. What is Sodium Alginate? If you've ever picked over seaweed on the beach you will have found that underneath the tough brown skin is an alien slime. If you ever went to the beach on a rainy day with your brothers/sisters you will probably have thrown this slime at each other. That is alginate, or more specifically that is alganic acid, the base from which sodium alginate is created. The difference between the natural form and the sodium alginate you buy as a molecular gastronomy supply is the substitution of a sodium ion for the acidic hydrogen ion. This is largely irrelevant to the way the sodium alginate behaves as a molecular gastronomy ingredient due to the fact the alginate is the part of the molecule that you require, for the same reason sodium and potassium alginates are largely interchangeable and are often used together in packaged foods (E401 and E402). Sodium alginate is extracted from the seaweed by mulching, washing with sodium hydroxide, filtering and drying. The result is a white powder. As a molecular gastronomy ingredient, sodium alginate is almost always found used with its best friend Calcium Lactate. It does however have uses on its own. 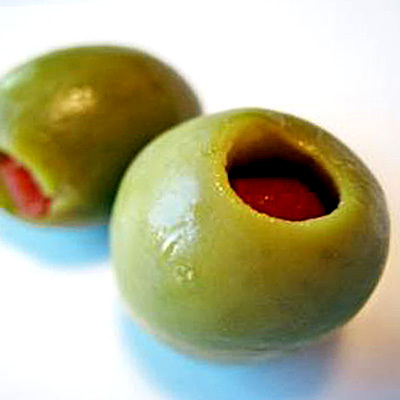 An overview of its use in spherification and reverse sphirification can be found here. If you've ever picked over seaweed on the beach you will have found that underneath the tough brown skin is an alien slime. If you ever went to the beach on a rainy day with your brothers/sisters you will probably have thrown this slime at each other. That is alginate, or more specifically that is alganic acid, the base from which sodium alginate is created. The difference between the natural form and the sodium alginate you buy as a molecular gastronomy supply is the substitution of a sodium ion for the acidic hydrogen ion. This is largely irrelevant to the way the sodium alginate behaves as a molecular gastronomy ingredient due to the fact the alginate is the part of the molecule that you require, for the same reason sodium and potassium alginates are largely interchangeable and are often used together in packaged foods (E401 and E402). Sodium alginate is extracted from the seaweed by mulching, washing with sodium hydroxide, filtering and drying. The result is a white powder. On its own (without the calcium lactate) sodium alginate works as a thickener, a gel that never quite sets. Alginates have a rapacious aptitude for absorbing water, it can gel with many hundreds of times its own mass in water. This means the tiniest sprinkle of sodium alginate powder can thicken a sauce and as little as 2% can make something similar to wallpaper paste. The steady thickening properties of alginate also make if good as a stabiliser for polar/non-polar emulsions such as mayonnaise or creamy (ranch style) salad dressings. Sodium alginate has fairly stable thermal properties making it useful for packaged/processed foods. There is more about the chemical properties of Sodium Alginate on the RSC. 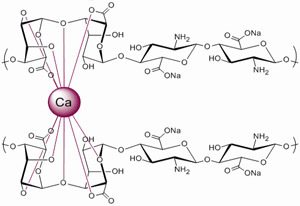 The real magic of sodium alginate is its ability to instantly form a gel when it comes into contact with dissolved Calcium ions (these can be from any source, but are usually calcium lactate). It really is instant, the reaction is often referred to as cooking but will happen at low temperatures. The calcium alginate formed is a very strong gel and is resistant to heat. 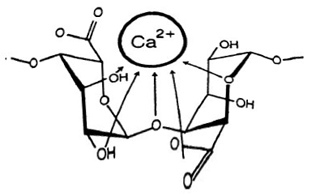 The alginate ion forms cross links with the calcium acting as a bridge – this is an irreversible reaction. Unfortunately the unyielding nature of an alginate gel mean that it has very pour flavour release, it locks the flavour into its molecular matrix and doesn't readily allow it to escape again, indeed sodium alginate is so good at capturing molecules that is can be used for “capturing” radioactive particles within the body and rendering them immobile. For this reason it is better to use alginate gels for encapsulating rather than making something solid. Not sure what it's all about? Try this video for a starter. It is worth highlighting a potential pitfall of using disposing of sodium alginate here, firstly note that it will set solid with any calcium ions so that means even those that are already present in tap water will set it – if you have live in a “hard water” area, you may have to use bottled water to work with sodium alginate. This also means that the harmless looking sodium alginate solution, that can be quite gloopy but will certainly be pourable could potentially set hard inside your plumbing waste pipes if you pour it down your drains and it has the chance to set with calcium ions in tap water, this could block pipes, so better to dispose of unused either in a toilet or chucking it out into the garden! It can be used as a thickener in medicine. 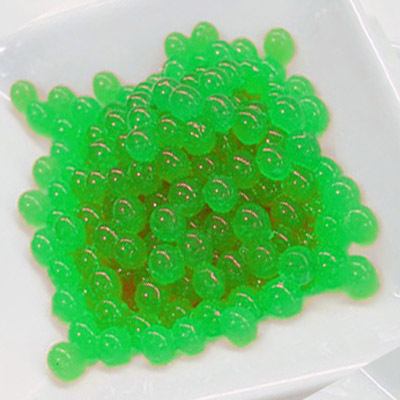 The spheres made with sodium alginate can tolerate high levels of alcohol, above 40% so it is well suited to making encapsulated vodka jelly shots. For reverse spherification they work best if the contents of the sphere is thickened with a bit of xanthan gum, this doesn't apply with standard spheres because the actual cocktail will be thickened by the alginate. The magical setting properties of alginates when in the presence of dissolved calcium mean that just about anything can be jellied by mixing with sodium alginate and then dunking into a bath of calcium ions – it is the tecnique used for the red filling in cocktail olives and the tasty bite-size chunks in cat food! Dissolved alginate ions also work as emulsifiers for aqueous and oil-based liquids. The negatively charged alginate ion is attracted to water molecules and its long tail will associate with non-ionic oil molecules which is great for mayonnaise. The facts it is an ionic thickener also means that it creates particles that are repelled from each other, which helps to prevent clumping and settling. If you love that not-quite-cheese sauce they squirt onto you nachos in cinema lobbies whilst you get nauseate by the bad patterns on the carpet – the qualities of squirty cheese are due to sodium alginate (and sodium citrate) the alginate absorbs water whilst thickening AND also uses its emulsifying properties to prevent the ft form coalescing. The result is cheesy, homogenised and pourable – like hot liquid silk! The alginate thickened liquids can also be used to stabilize a nitrous oxide foam, but this wouldn't be a method that home molecular gastronomy chefs would use. I have tried setting a foam by using a cream charger and then floating the foam onto a calcium bath, but the result was not nice, the foam set but it was like chewing upon cling-film! Some recipes you may want to try that use sodium alginate. If it is not food you're interested in then sodium alginate can also be used for thickening dyes.